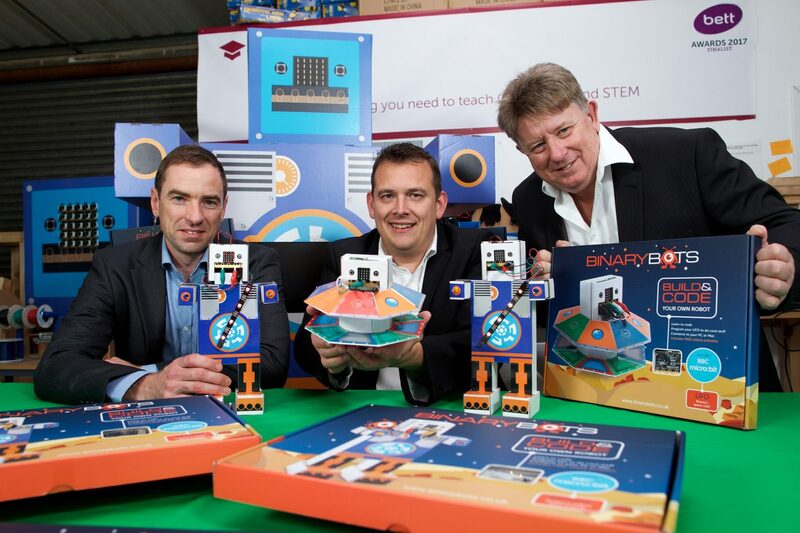 A Yorkshire entrepreneur who has launched a new range of ‘smart toy’ robots which teach children to code has secured a £500k investment from NPIF – Mercia Equity Finance, part of the Northern Powerhouse Investment Fund (NPIF). BinaryBots™ is the brainchild of software developer Chris Burgess. The range features characters including Binary, the robot inventor from Planet Hex, his best friend Dimm and the ‘super saucer’ UFO. Children build their own robot from a kit and learn to write code to control its actions. Chris’s company CB Information Systems (CBIS) has been supplying educational kits to schools since 2012. However, BinaryBots is its first venture into the retail toy market. Over 6,000 kits have already been sold and the company has signed up resellers in Europe and North America and is in talks with a number of large UK retailers. The funding will be used to build a supply of stock to enable it to take on larger orders. CBIS, which employs nine people, is based at York Innovation Centre and has premises in Leeds, where the systems are assembled and packaged. The robots are powered by BBC Micro:bit and Raspberry Pi computers. The company originally received funding from the Finance Yorkshire Seedcorn Fund, also managed by Mercia Fund Managers, in 2015. Photo Caption; left to right – Graham Davies, Investment Director at Mercia Fund Managers, Chris Burgess, Managing Director of CB Information Systems and Chris Baldock, Chair of CB Information Systems.